Historians, as a whole, spend a significant amount of time on the philosophy of history. The question is: when looking at the past in terms of decades, centuries and millennia, rather than hours, days or years, what, if any, are the patterns of history? What drives history? There are many competing answers to that question. Another idea, which was expressed most clearly in the 19th century, is that history is driven by great men, like the heroes of Greek mythology. “The history of the world is but the biography of great men,”1 wrote Thomas Carlyle, one of the men who formulated this theory. The idea is that the world is changed by great men – that the United States of America would not have gained its independence without the great founders, or that Karl Marx changed the world forever with the creation of Marxism, and without him, it would not have happened. This idea suggests that the important men do not shape the forces and movements in history, but the forces and movements of history create the great men. That Karl Marx did not change the world with the creation of Marxism, but that the movements in the world created the situation where Marxism would take hold, and Marx just happened to be the man to rise to fill the void. The Great Forces theory takes many forms. Some say that history is driven by economics, or technology, or the struggle for human rights, or a hundred other factors. The Bible also teaches that history is going somewhere. It had a beginning and will come to an end when God’s plan is completed. 1. On Heroes, Hero-Worship and the Heroic in History by Thomas Carlyle (London: Chapman and Hall, 1840) p. 34. 2. The Study of Sociology by Herbert Spencer (London: C. Kegan Paul & Co., 1881) p. 34-35. 3. George Washington to Thomas Nelson, Jr. August 20, 1778. 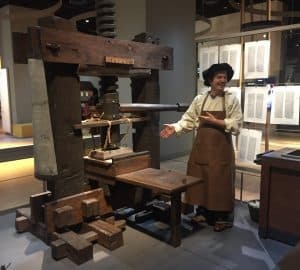 Should You Visit the Museum of the Bible?